Russia claims four Israeli F-16 fighter jets attacked Syria during rare daytime airstrike, says 7 missiles were intercepted during attack. Surface-to-air missile systems supplied by Russia to the Assad regime downed seven Israeli air-to-surface missiles fired by four Israeli fighter jets Sunday, the Russian military claimed. Syrian state television claimed Sunday morning that the Assad regime’s air defense network had repelled an attack by Israeli aircraft south of Damascus. While the Israeli military has refused to comment on the report, the IDF did confirm later on Sunday that its Iron Dome missile interceptor system had shot down a rocket fired from Syrian territory towards the Israeli Golan Heights. According to RIA, Russia’s National Defense Control Center claimed that Russian-made anti-air missile systems operated by the Syrian military had foiled the Israeli attack, adding that there were no reports of casualties or damage. Russia’s claim backed up a report by Syrian state media outlets, which claimed the country’s air defense network had “thwarted” the Israeli attack. "Our air defense systems thwarted ... an Israeli air aggression ... and prevented it from achieving any of its goals," a military source told state news agency SANA. However, an anti-Assad human rights group, the Syrian Observatory for Human Rights, claimed that there were casualties in the Israeli attack. 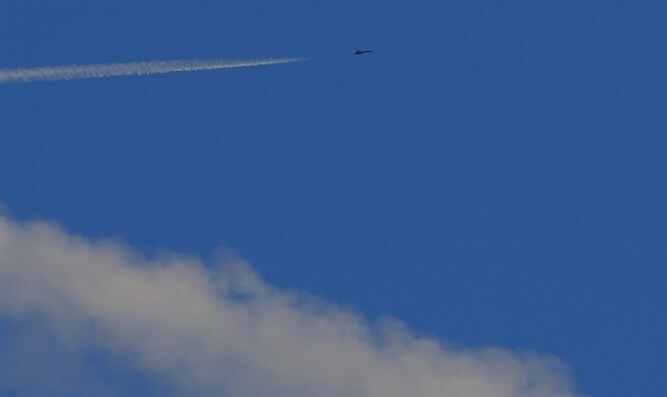 The Russian military said that four Israeli F-16I fighter jets were involved in the attack Sunday, and that the Israeli fighters had flown over the Mediterranean, before turning east during their approach towards Damascus. While Israel has conducted hundreds of attacks on Iranian and Assad regime targets in Syria over the last few years, Sunday’s attack marks a departure from the Israeli military’s policy of engaging in nighttime airstrikes.